It’s a new month, and a new group of birthdays! Every month, I discount any items in my shop by 20% that are the color of that month’s birthstone. This month’s birthstone is the beautiful sapphire! 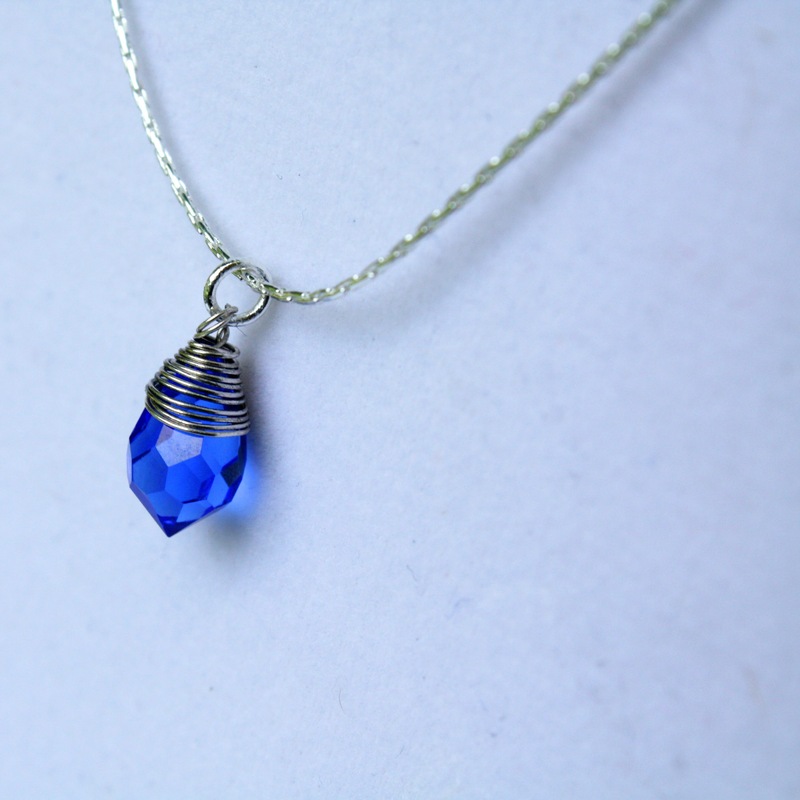 This lovely necklace and silver plated chain is just $12! The simple pendant makes this dainty necklace easy to wear with anything, from casual to formal. 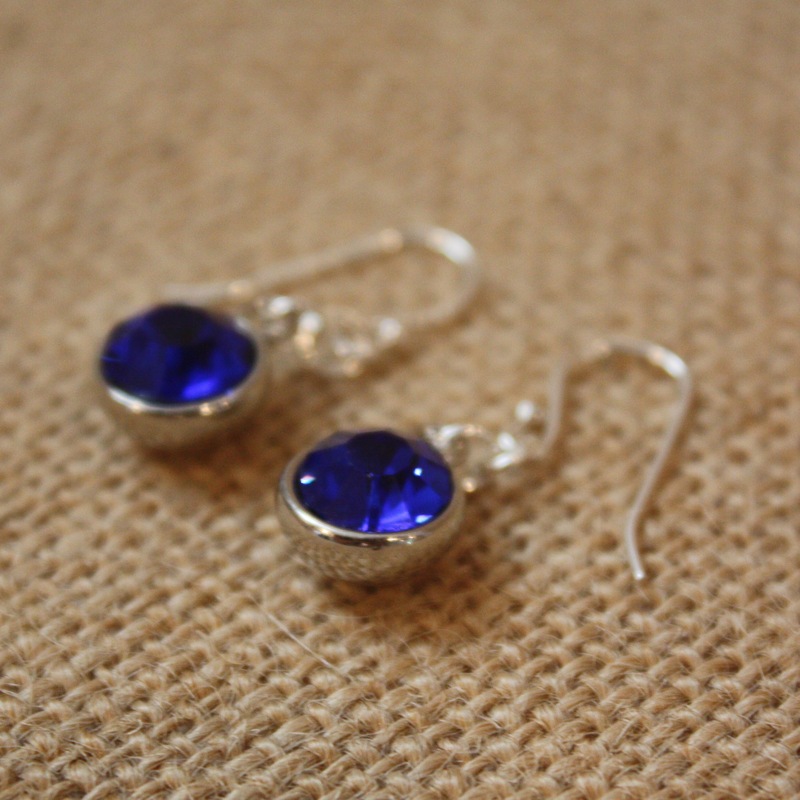 If earrings are more of your thing, I love these beautiful sapphire colored glass crystal drop earrings. The ear wires are sterling silver. You can take a look at more pictures here for an idea of the size of these earrings. These earrings are a wonderful gift for September birthdays, but the neutral blue color makes them a great piece to wear year round! A very happy birthday to all those with birthdays this month! !